"A great twist on blintzes, very kid-friendly and easy to make using pre-packaged blintzes." Melt the butter in a 2-quart casserole, and place the frozen blintzes on top of the butter in a single layer. Mix the eggs, sour cream, sugar, salt, vanilla extract, and orange juice in a bowl until thoroughly combined, and pour the mixture over the blintzes. Bake in the preheated oven until the top is lightly browned, and a toothpick inserted into the center of the casserole comes out clean, about 45 minutes. Impress with the classic indulgent chocolate dessert! I have made this for years. 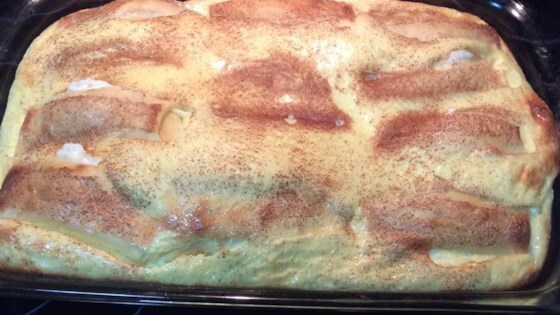 It's a very tasty dish and can be made either with cheese blintzes as written or with frozen fruit filled blintzes or with a combination of cheese and fruit filled. great recipe, but a little too sweet. i would make again, but add less sugar. Delicious! It took more than 45 minutes to cook - closer to 1 hour. All of my brunch guests loved it.